Sales staff/ reception: No selling at all. Cheapest price per class: $20 or $225.00/month for unlimited. Class booking: Available on mindbodyonline. Teacher schedule only released 1 week ahead but class type remains fixed. Character: Good facilities, big and clean space, but no windows or natural light in the yoga or changing room. Class types: A mix of both hot and non-hot. Fixed sequence classes do not dominate and beginners can take a beginner’s hatha class. Crowd: Not very crowded. Last minute booking should be alright. Class timing: 6 classes a day, morning and evening for weekdays. Hot class: Infrared panels are used. Heat was hot enough but still manageable. Non-hot class: Room was air-conditioned. Class size: Studio 1 – about 35, Studio 2 – about 21. Showers: Around 6 – 8 cubicles (can’t recall). 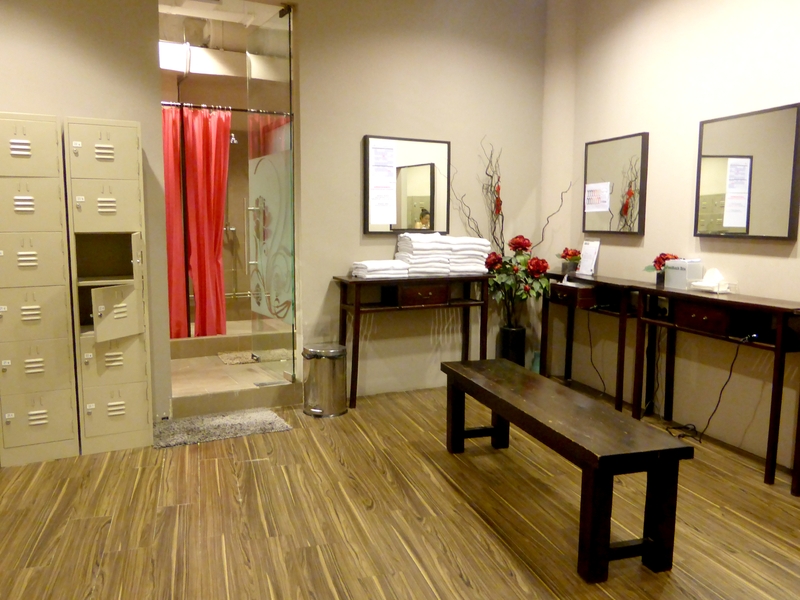 Towels: Provided in the yoga room and changing room. Towels are not very new or thick but at least they do not have holes. Lounge area: Premises of whole studio is big, with benches, chairs and tables around. Lockers: Designated locker key will be given when you sign in. I’ve been here several times and the facilities here are good and I like how this place is big, making me feel comfortable. 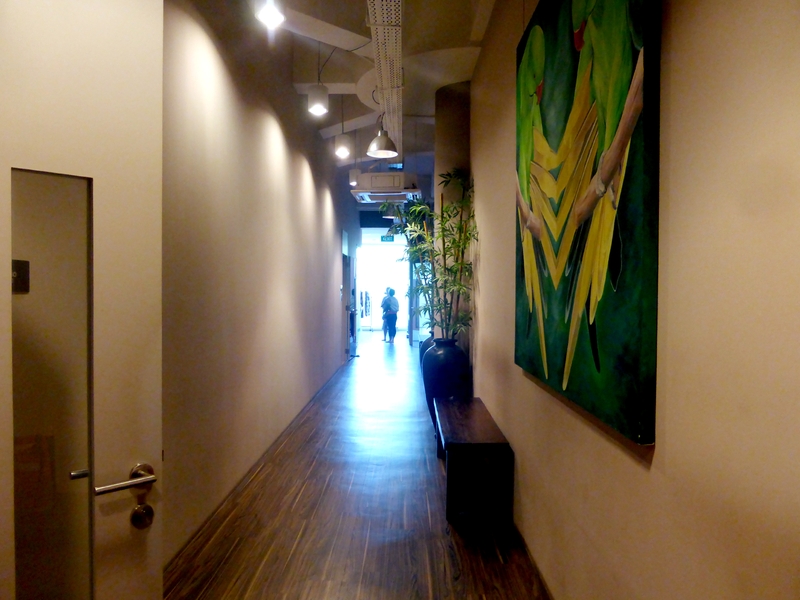 I liked the polished look of the entire place because I personally do not prefer shabby looking yoga studios. Many students were spotted wearing Lululemon here, so I suppose the crowd consists of a number of serious yogis. The Hot Flow class I tried here was of similar standard to Hom Yoga’s and it was enjoyable. Hatha yoga is available for beginners to start learning yoga too. With the good facilities and a lot of space to move around, this is one of my favaourite studios in Singapore. 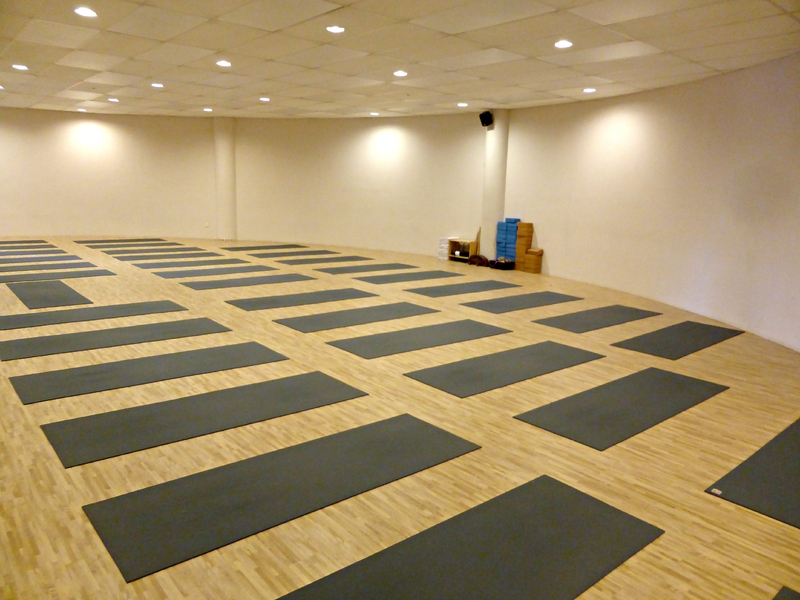 Pros: Nice studio, strong classes available, no hard selling, Manduka mats used. Cons: Not a lot of classes per day.